Just Listed :: Adorable Townhome in Alpharetta! Welcome home! 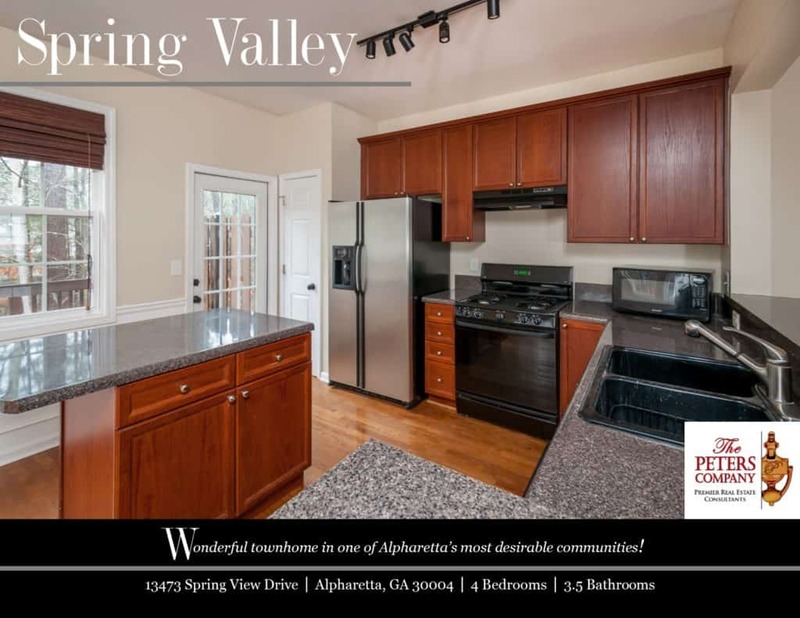 Nestled in the popular Spring Valley townhome community, this end unit has it all. The open floor plan, custom features, and charming character will never go out of style. The close proximity to Windward Parkway, GA400, and Highway 9 makes it convenient to and from any direction. You’ll also have easy access to the other highways, byways, and activities that make this location such a well-loved destination. Highly sought after schools include Cogburn Woods Elementary, Hopewell Middle, and Cambridge High! Kitchen features ample cabinet space, granite counters, island, pantry, and breakfast bar. The spacious living room boasts a cozy gas starter fireplace and hardwood floors. The master suite is a true retreat including a trey ceiling, large walk-in closet, and master bathroom with double vanity, garden tub, and separate shower. Additional upstairs bedrooms and bathroom are well-sized and bright. A lower level bedroom and full bathroom are ideal for additional living and lounging space. The deck is great for outdoor enjoyment and grilling out. Wonderful location close to interstates, shopping, and restaurants.